Kick start your fitness journey in an environment perfect for the health conscious Muslimah. 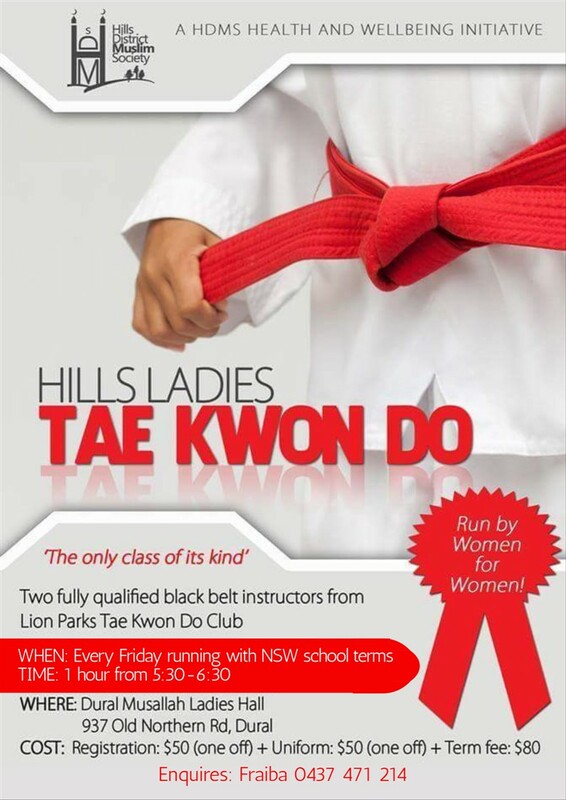 Taught by women for women this Taekwondo class is one of a kind. Women of all ages can benefit from this opportunity to improve their fitness, discipline and self confidence . Two fully qualified black belt instructors from Lion Parks Taekwondo provide a professional and friendly atmosphere to keep you training at your best.